Our Team – McBryar Advisory Services, Inc.
Roy E. McBryar is CEO of McBryar Advisory Services, Inc. Roy graduated from Career Academy of Broadcasting, Auburn University, and Jones School of Law and has been a practicing attorney since 1993 and Certified Public Accountant since 1986. 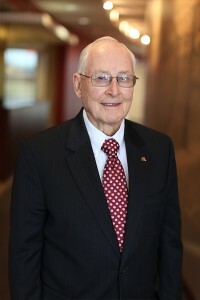 Roy's introduction into the financial arena began when he opened his own CPA practice in 1986. However, it was not until a few years ago, during the probate process of a close family member's estate, that he discovered the truth about the brokerage industry. The truth was that a small fortune had been lost due, primarily, to stock picking and market timing. It was about this same time that Roy was introduced to Mark Matson, founder of Matson Money, Inc. a company founded on the principles of Nobel Prize recipient, Harry Markowitz's "Modern Portfolio Theory" and the "Efficient Frontier". Mark Matson's message became clear, don't pick stocks, don't market time and don't trade based on past performance. That is gambling not investing. The answer is diversification across broad markets and focusing on asset classes that have been academically proven to provide premiums. Armed with this new information, Roy set out to use his extensive law and accounting training and experience teaching investors his message of prudent investing and free market beliefs. His primary objective is to equip investors with the truth so that they can make educated choices about their financial future. Roy and his wife Alicia enjoy living along the beautiful gulf coast in South Alabama. 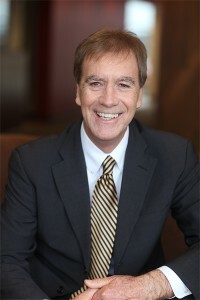 James "Jim" Ross Hollon, CFP, RFC, has been an investment advisor (coach) for over 30 years. Jim's advice to investors is that the past, the present, and the future do not have to be the same. Once you realize this you can change for the better. In 1981, Jim came to realize that the company he had worked for for twenty-eight plus years had no intention of changing its product portfolio. This no change attitude plus his burning desire to do more for his clients gave him the ammunition he needed to make a change. So at age fifty-seven, he completed the financial planning degree and took an early retirement from his first career to work for himself. The first thing he would like to convey to his investors is the importance of owning a piece of each asset category of the market and how they can do so. Past performance of each category of the market, good or bad, is not an indicator of future performance. Typically, when one sector of the market does poorly, that does not mean that all sectors do poorly at the same time. Thus owning a truly diversified portfolio is of paramount importance. By owning a truly diversified portfolio, investors can reduce the influence of emotion and greed in the investing process. It has been his experience that investors with a truly diversified portfolio worry less than others about the market's ups and downs and have peace of mind regarding their investments that they did not have before. Jim is passionate about the benefits of diversification as a means to reduce volatility, maximize return, and give clients more confidence about the investing process. These are the reasons behind his motivation and desire to coach. Jim is an avid outdoorsman and enjoys fishing in the creek in his back yard when he is taking a break from traveling. 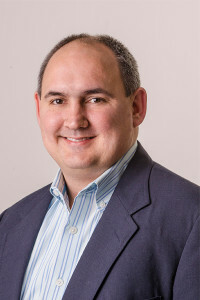 Ben S. Harper is a Registered Investment Advisor Representative in Alabama and Georgia. He joined McBryar Advisory Services, Inc. in March 2013. Ben graduated from Auburn University in 1996 with a Bachelor of Science in Business Administration with a concentration in Finance. Prior to joining McBryar Advisory Services, Inc. Ben held positions of increasing responsibility with several companies providing commercial lending to small to mid-size businesses. He has experience working in the areas of Operations, Credit, Collections and Process Improvement. During his time working in Process Improvement, Ben developed a keen eye for identifying issues that are causing pain for users of any process, product or service. When presented with the opportunity to help investors with their investments by utilizing the investing principles developed by Nobel Prize recipient Harry Markowitz, he saw a solution for many investors that could help them have a better investing experience. Ben is an avid coach, committed to teaching investors in group sessions as well as one-on-one the tenets of investing using "Modern Portfolio Theory" and the "Efficient Frontier". Successful life-long investing is not gambling. It does not require stock picking, market timing or track record investing. Instead Ben teaches investors how to be diversified across the broad market by strategically focusing asset classes that have been academically proven to provide premium to the portfolio. Ben, his wife Jenn and their 5 children live in Canton, GA. They enjoy hiking in the North Georgia mountains, traveling to visit family and spending quality time together as a family.